Set in a Rome during the late 70s, this powerful crime drama charts the bloody, brutal rise of three hoodlums as they attempt to gain control of the city’s underworld. The series is set in about 1977-89 and follows a criminal gang in Rome that has a near monopoly of the city’s heroin trade. Most of the characters use the Romanesco dialect. The gang is led by three friends, Libanese (Francesco Montanari), Freddo (Vinicio Marchioni) and Dandi (Alessandro Roja). As well as its internal feuding, the gang has to deal with the Camorra and Sicilian Mafia that both supply its heroin, the police led by Commissioner Scialoja (Marco Bocci) and the Italian secret services. 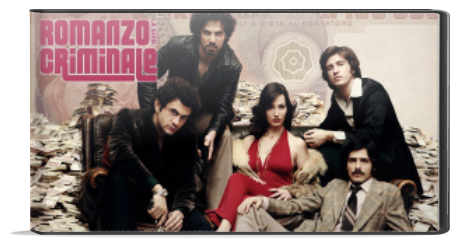 The plotline is partially based on real events concerning the Banda della Magliana of the 1970s-90s.